Another image taken with my Samsung New Wave II for the Now Project. All is not quite as it seems. This was taken out of the plane window not far from Barcelona. 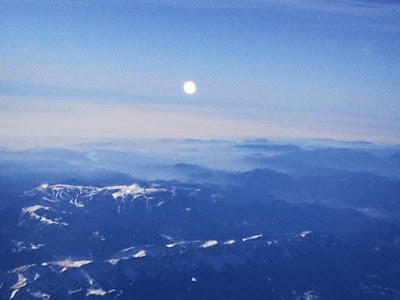 What appears to be the sun or moon in the sky is really a reflection from the sun on the plane window. I rather liked the effect it gives though. How about you? Oh and this time the colour is real! See other skywatchers around the world. 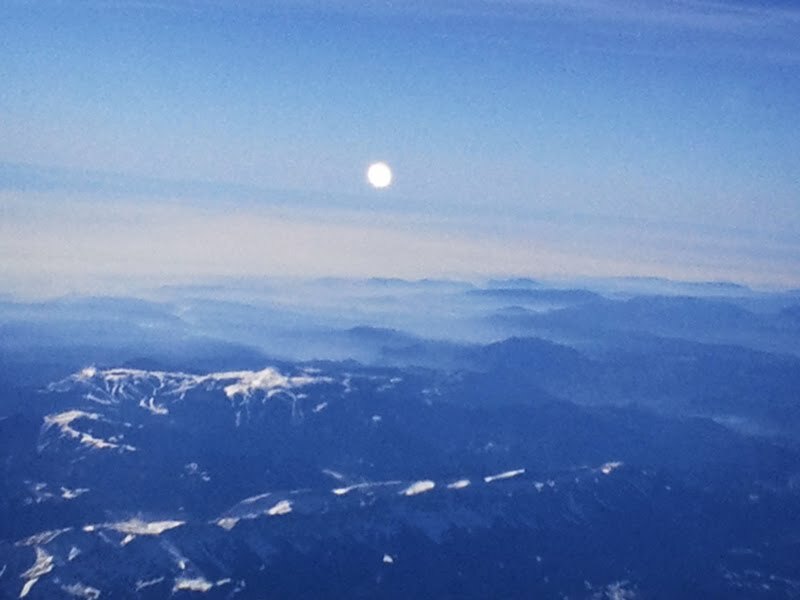 Always inspiring to see a view of the earth from high in a plane! Lovely shot! The sky's the limit. What fun. Wow, it really looks like ours is a blue planet! Ciao. A. It's FANTASTIC,and the Tube one as well. Terrific. I took some recent airplane photos, too, and really enjoyed them. This looks like they are shot from a satellite. Fantastic shot, Mo!!! You are having fun. hey, nice shot. hugs from barcelona. Cool image body from the top. It looks like your already in the sky and floating there. Very good catches of image.